Sebovalis facial gel is indicated for the treatment of facial seborrheas, skin redness and peeling of the face and areas such as the chest and ears. Seborrhoeic dermatitis is a benign disease that presents acute injuries, which improve with time, but do not disappear, due to the chronic nature of the problem. It occurs mainly in areas with the largest number of sebaceous glands, such as scalp, ears, and face. It is characterized by redness, flaking and irritation of the affected areas. 8% lithium Gluconate, has a synergistic effect in association with piroctona Olamine, inhibiting the proliferation of Pityrosporum ovale. Glycolic Acid, moisturizes the skin and intervenes in normalisation of the process of scaling in seborreicas skins, thanks to its exfoliating properties and queratolíticas. Extract of Calendula officinalis and regaliz, have moisturizing properties of burns on the skin. Formulated with the proper pH, to not irritate the skin. Oil free, spreads easily. Facilitates shaving. Composition: 8% of lithium, gluconate 0.5% piroctona olamine 4.5% glycolic acid, extract of Marigold. Apply all over the face or affected areas gently massaging with your fingers until its completely absortion. Can be applied as makeup base. Apply in the morning, at night or whenever necessary. For shaving, apply the night before. Suitable for skin prone to seborrea. 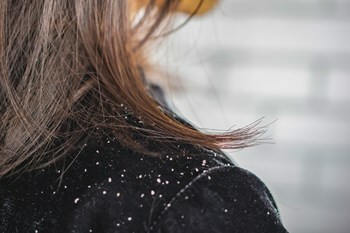 Seborrhoeic Dermatitis is a chronic inflammation that is characterized by lesions in areas such as the scalp, ears, and face, manifesting itself through dandruff, seborrhoea and flaking of the scalp. It might appear such in children as in adults, but it affects mainly men. Sesderma developed a complete line of effective care for the treatment of the Seborrhoeic Dermatitis symptoms: Sebovalis.